Healthcare organizations and workers now have an easier way to come up with smart HR and OIG compliance practices. Streamline Verify created a clever way to summarize the rules and regulations of OIG policies and procedures via a simple video clip. 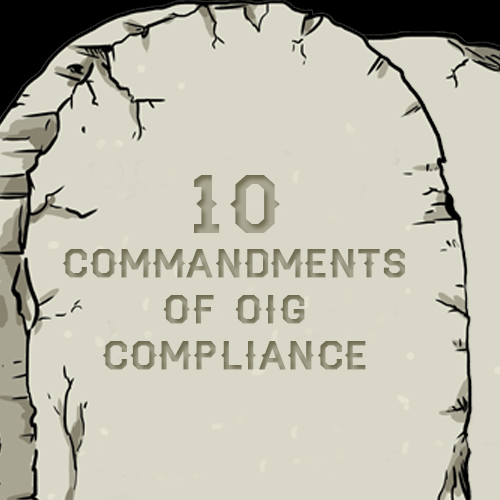 The Ten Commandments of OIG is based on a carefully-researched script that mentions ten ways to beef up compliance in any healthcare organization. These “commandments” are written in stone, explaining everything from having written policies in place, to getting compliance metrics reviewed by appropriate auditors.